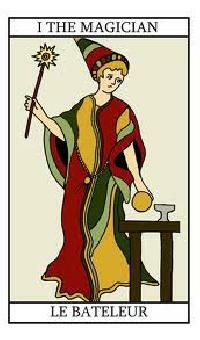 "The Fool Tarot card is a card of potential, new beginnings and innocence. 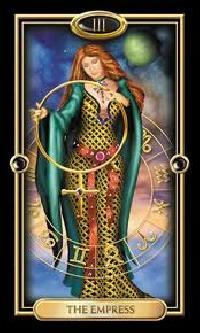 This Tarot card shows the highest potential for your life, reaching a state of renewal and new beginnings, where each day is an adventure and each moment is lived to the fullest "
With the Magician Tarot card, you are inspired to apply skill and initiative to accomplish all your goals. You have a strong desire to begin something new, to �do, act, or go forth�. A �can-do� attitude and strong sense of optimism will dominate a new beginning and thus the decisions that you make will have positive results. Pay attention to your dreams and intuition. Look for areas in your life that may be out of balance or that require greater foresight and wisdom. Knowledge of how to fix it will not come through logic or intellect but through your intuition so put aside a time when you can meditate and listen to your own inner voice. The Empress shows a deep connection with our femininity. Femininity translates in many ways � beauty, sensuality, fertility, creative expression, nurturing � and is necessary in creating balance in both men and women. Create beauty in your life. Discover new ways to creatively express yourself, be it through painting, music, drama, or other art forms. This may be the perfect time to take up a new hobby that enables you to access this part of yourself. 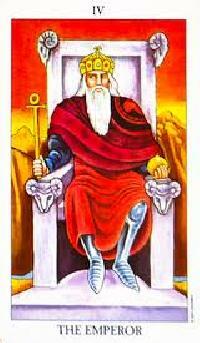 The Emperor is the father figure of the Tarot deck. 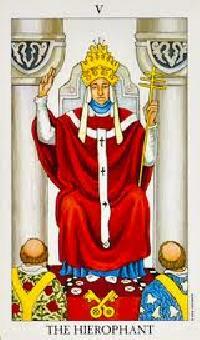 Father is the �provider� and protects and defends his loved ones, this card indicates that you have a strong desire to see your ideas manifested on the physical plane in the form of material gain or accomplishment. An opportunity will arrive that could be the foundation of a very successful future. This Tarot card suggests that you have a desire to follow due process and to stay within the conventional bounds of what is typically an orthodox approach. Instead of being innovative, you will need to adapt to the existing set of beliefs and systems that are already in place. You will need to do what is expected of you. 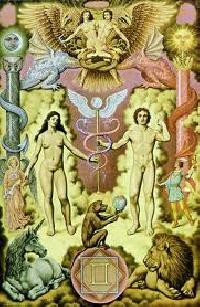 The Lovers card represents the establishment of a personal belief system and becoming clearer about your own values. This is a time when you are figuring out what you stand for and what your personal philosophy on life is. This is also a time when you need to stay true to yourself and be as authentic and genuine as possible. 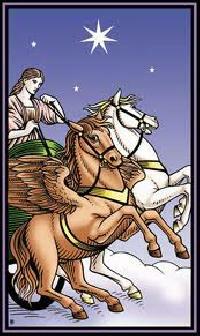 The Chariot represents victory and overcoming opposition through your confidence and control. Any success will be a result of applying these factors to the situation. You will need to use the strength of your willpower to overcome any obstacles or challenges in your way. You may even find that by leveraging any opposing forces surrounding you at this time you can use them to your advantage. You must be determined, self-disciplined, and hard working. If you are, you will triumph over any difficulties or anyone who is trying to limit you. 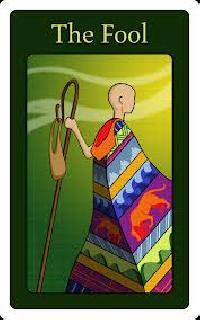 The Strength card represents inner strength and the power of the human spirit to overcome any obstacle. 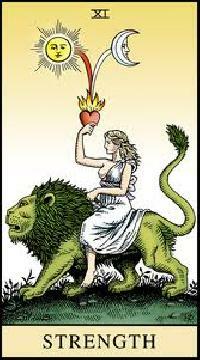 The meaning of the Strength Tarot card is about knowing that you can endure life�s obstacles by drawing upon your inner strength and confidence. 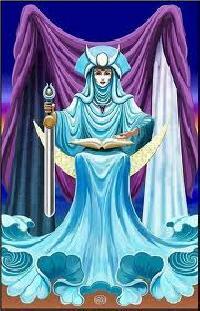 You have great stamina and persistence, tempered by an underlying patience and inner calm. You are focused on what you need to do, and you go about it in a way that demonstrates great composure and maturity. 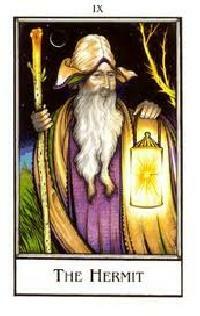 The Hermit Tarot card suggests that you are in a phase of introspection where you are drawing your attention and focus inward and looking for answers within. You have a strong need to understand, not just at the surface level but to really know why life is the way it is. This is a perfect time to take a step back from your day-to-day life and deeply contemplate your motivations, personal principles and values.